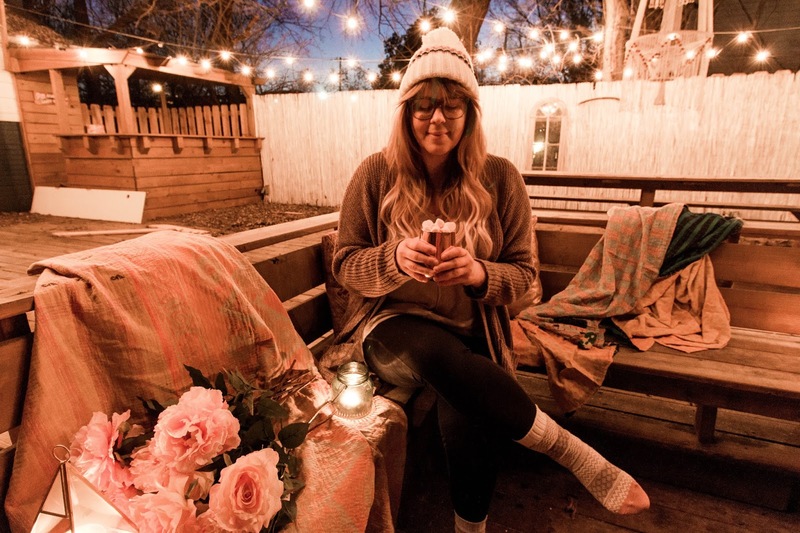 I feel like everywhere I turn someone is talking or writing or blogging about hygge (Danish word meaning a quality of coziness and comfortable conviviality that engenders a feeling of contentment of well-being). When you read the definition you definitely understand why it's such a popular concept. Cozy is our closest English word to hygge. So if you are like us you could use some cozy vibes and I bet your friends could too. 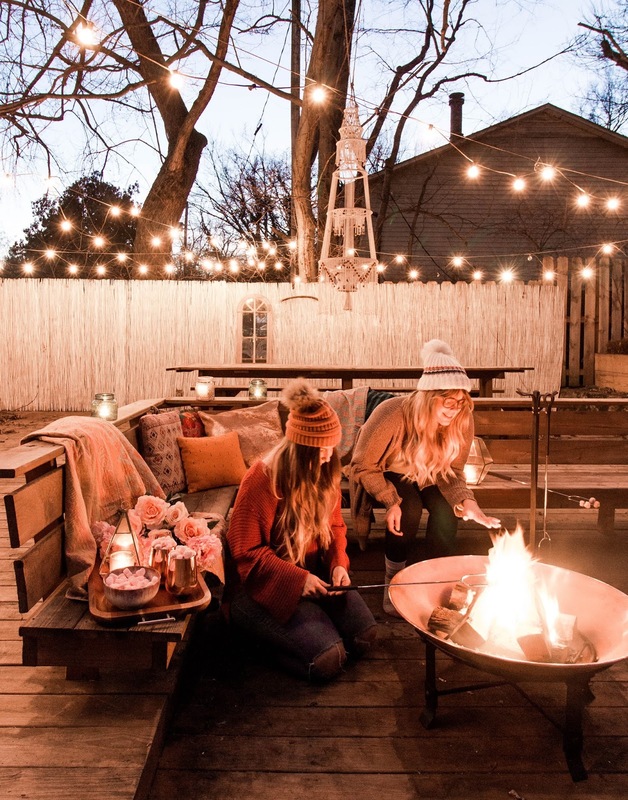 Today we are giving you 5 tips for creating a cozy environment when you are entertaining. 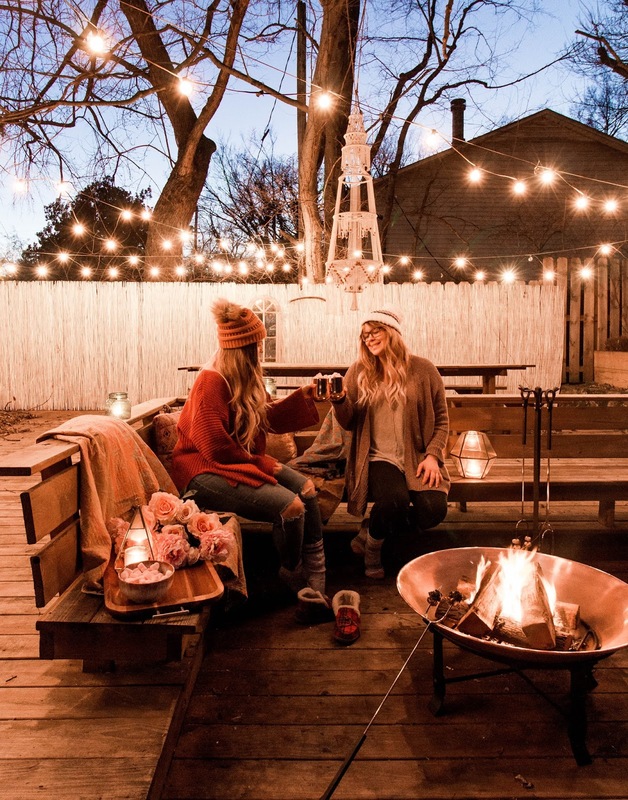 Let's get our hygge on! - The Easiest Bath Bomb Recipe! 1. Use Textures. Pillows and blankets are an obvious choices. Even when we are entertaining inside, we like to have a variety of blankets laying out. They just add a cozy feel and they can be useful. You can also add texture by using wood decor or trays. Flowers are another way to add texture. The flowers we are using here are actually fake. Can you even believe that?! These flowers were sent to us by Balsam Hill and I have to be honest- I was reallllllly skeptical about fake flowers not looking, well- fake. These blew my mind. Seriously. The roses even feel like real roses. 2. Serve warm beverages. There are so many great choices out there. Your basic hot chocolate is always great choice orrr you could try our pink hot chocolate recipe. A hotty toddy or warm cider is also a great warm beverage choice. We were drinking our hot beverage out of these beautiful cups. I've seen a lot copper cups but these are seriously the highest quality I've ever seen. 3. 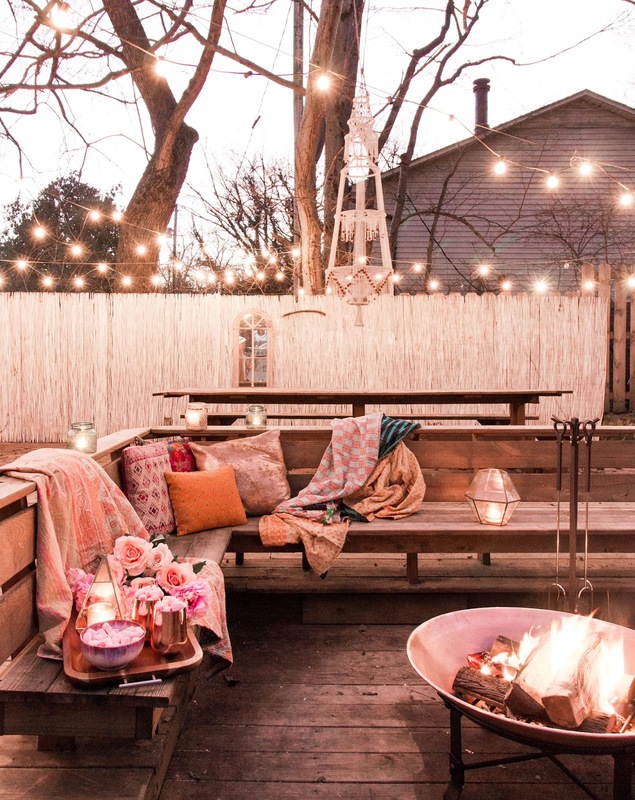 Decorate with string lights. If you are entertaining outside at night, these are very necessary. 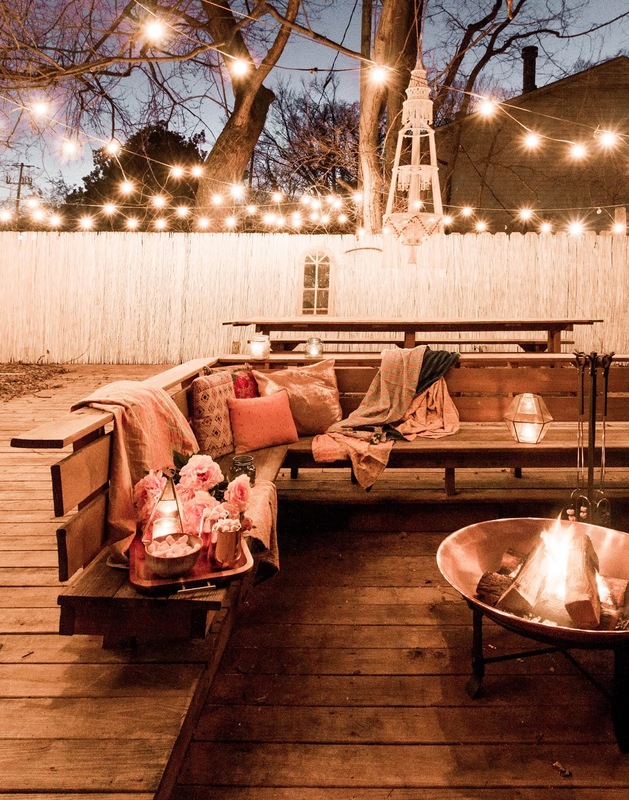 Globe lights like these create such a great vibe and provide just the right amount of mood. 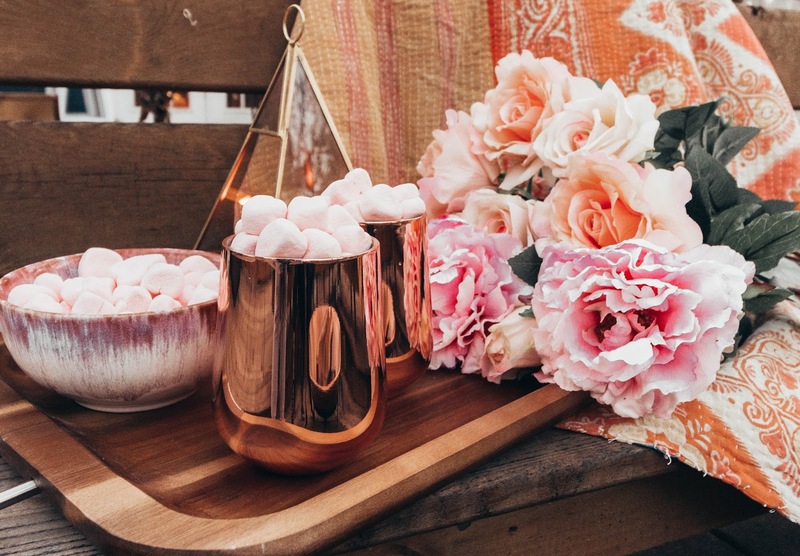 For entertaining inside- copper lights are perfect! 4. Start a fire! 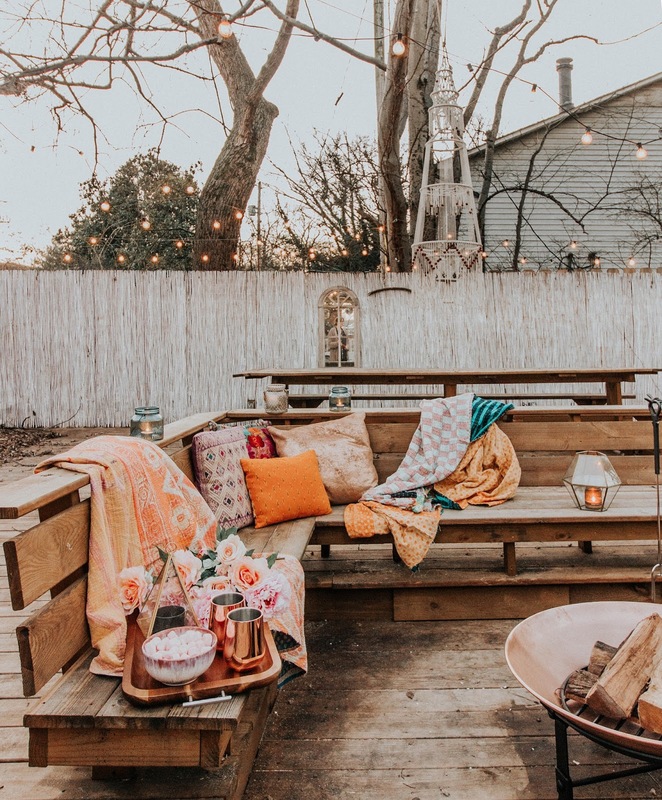 We got really lucky the other night and temperatures warm enough to sit outside and enjoy a fire in this gorgeous copper fire pit. If you are still have freezing temperatures then light a fire inside if you can. And last but not least- if all else fails you can find fake fire on tv and blow a heater on yourself. Hahaha! I'm kidding... or am I? 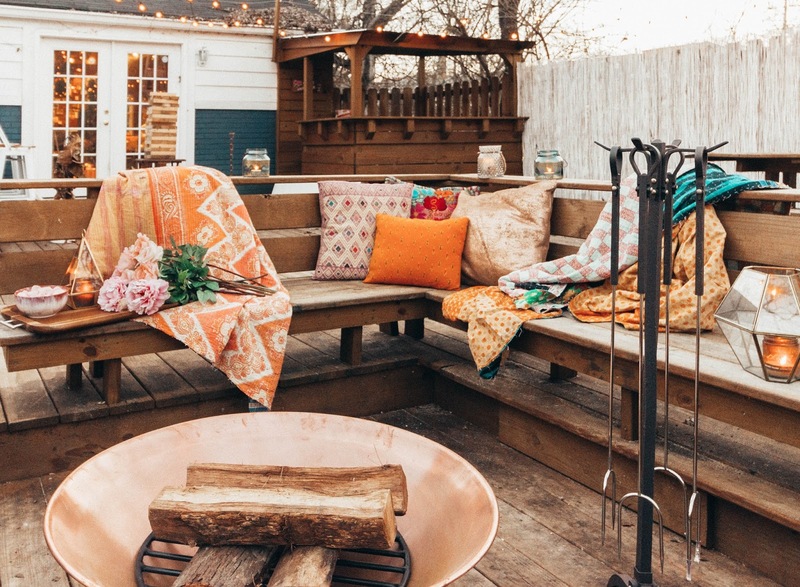 If you're going for the outside idea, check out the one we have and love from Balsam Hill. 5. Light many candles. This is great in addition to the fire to add warmth in places that need it. If for some reason you can't do the fire, do the candles in it's place. Candles really are an entertaining must-have. They just create a perfect cozy ambiance all over the place. 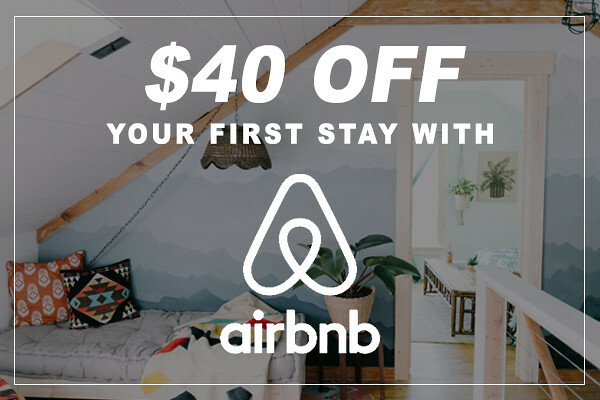 We hope this has encouraged you to invite some friends over or have a cozy night with your significant other. There doesn't have to be a special occasion to entertain. Sometimes it's nice to make a regular night just a little more special. 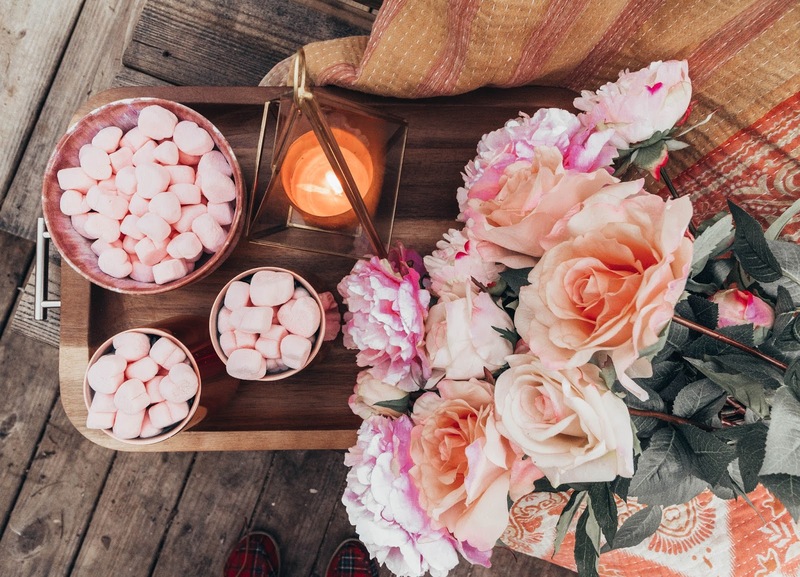 Thank you to Balsam Hill for sending us these stunning items to have a cozy fireside night. If you're like me, you associate Balsam Hill with their beautiful Christmas trees, but they have so much more to offer! I'll link all the products from our post below for you to explore. If you liked this post, please pin the image below by hovering over the photo and clicking "Pin It!"